Sat., April 13, 2019, 7:10 a.m.
A GRIP ON SPORTS • Awards are always quite interesting, from who wins them to what they represent. 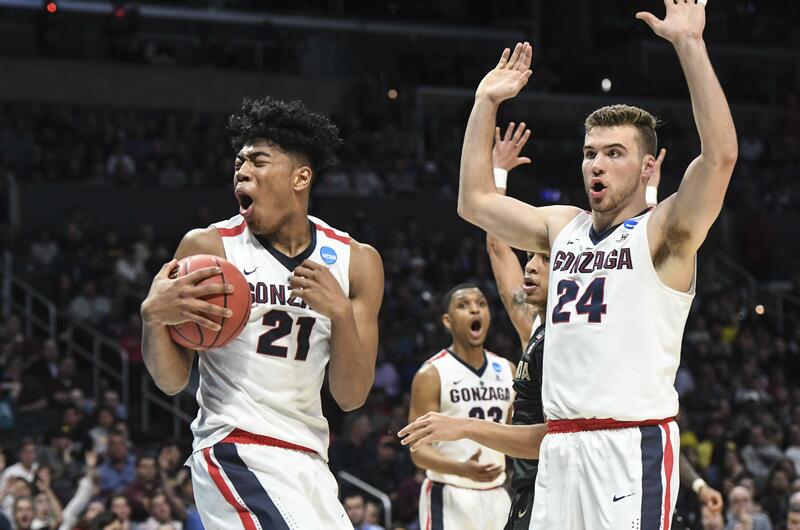 But there was an interesting twist to Rui Hachimura’s winning the Julius Erving Award last night. Read on. • Holding a ceremony to hand out college basketball awards is a recent phenomenon, something that has grown out of the proliferation of awards and ESPN’s desire to televise them. Each position on a basketball team now how its own named award, from the Kareem Abdul-Jabbar Award for the best center to the Bob Cousy Award for best point guard. College basketball glitterati gather in Los Angeles and hold a mini-version of the Academy Awards, complete with the red carpet. And the acceptance speeches. The award for best small forward, a position that can be manned by someone who is cat-quick, a lethal shooter and often draws the opponent’s best player while defending, was named for Dr. J, Julius Erving, whose college career consisted of two years at U Mass – back when that was an unusual occurrence. But we all remember his swooping drives and his impressive dunks from his NBA days. This year’s winner: The Zags’ Hachimura. The award is, at the same time, well-deserved and out of place. Or should we say out of position? 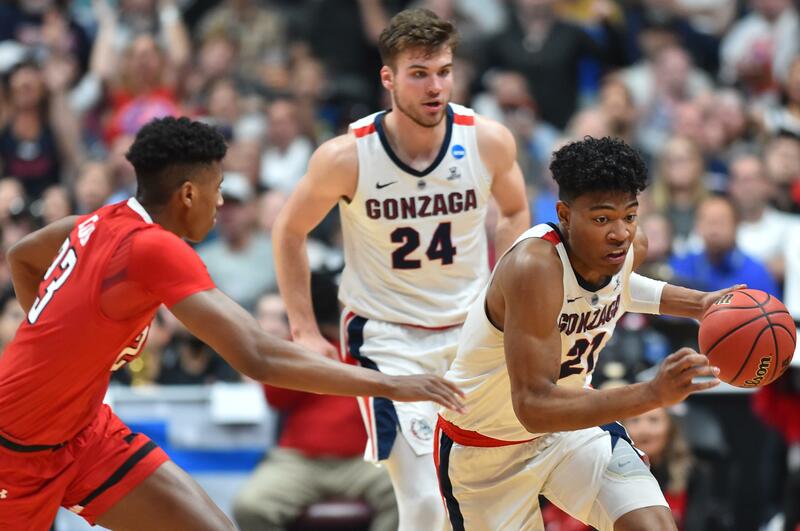 Hachimura deserved one of college hoops’ awards this season. He was the offensive engine of the best offense in college basketball. He led the Zags in scoring, averaging 19.7 points per game, though he was north of 20 for most of the season. He was also the guy they looked to when needing a key hoop and he delivered much of the year. A consensus All-American, he was the best offensive player on one of the most successful Gonzaga teams ever. Winning a national award seems appropriate. But should it have been this one? Hachimura played less than one full game, combined, at the small forward position for the Bulldogs. That wasn’t his spot. He was Gonzaga’s power forward, a “4” in modern parlance. A big who roamed out to the 3-point line on occasion, but was a post – either high or low – in most offensive possessions. The Zags had plans to play Hachimura more at the “3” spot, or small forward, but Killian Tillie’s injuries submarined those ideas. Instead, Hachimura started the season inside, Corey Kispert, an excellent outside shooter, became the “3” and the offense took off. When Tillie returned from his two injury stints, Hachimura, Brandon Clarke and Tillie did appear on the court together off and on. But never for long stretches and for less than an entire game, combined. And yet the nice people who decide on college basketball’s awards decided Hachimura was the best at the position. He may not have been the best small forward in the nation, but he was one of the best players and deserved to be recognized as such. He was. WSU: New basketball coach Kyle Smith has added an assistant coach, one who used to be on the bench at Washington. … The baseball team has still not won a conference game, falling 21-3 at home to Oregon yesterday. … Mike Leach talked on a Portland radio station yesterday. … Elsewhere in the Pac-12, there is football news from Washington, Colorado and Utah and basketball news, in the shape of players leaving for the pro ranks, from USC, Washington, Oregon and Arizona. Gonzaga: For more on Hachimura’s award, we can point you to Jim Meehan’s story. Josh Perkin was also up for the Cousy Award for the nation’s top point guard, but did not win. … Larry Weir takes a look at the transfer market in college basketball in the latest Press Box pod. Idaho: Chris Tormey has spent a half-century or so coaching football. He did it well enough in Moscow to be headed to Idaho’s Hall of Fame. Peter Harriman talked with Chris and has this story. … Peter also has a feature on two walk-ons who are contributing mightily to the Vandals cause this spring. Chiefs: Facing elimination, Everett scored early and went on to a 4-1 win over Spokane in the Arena. Kevin Dudley was there and has this game story. Colin Mulvany has the photo report. Preps: In a typical busy Friday in April, we can pass along roundups from soccer, softball and baseball. Mariners: The winning streak is over, done in by all things a bunch of home runs. Well, two Houston grand slams. … Starter Wade LeBlanc left with an injury and the bullpen, which is constantly going to be rebuilt, couldn’t do the job. Help for the rotation may arrive soon. … The M’s did hit another home run to extend their record streak. … Gene Warnick has the usual Out of Right Field summary. Seahawks: Seattle made a couple minor roster moves yesterday. Sounders: Seattle and Toronto are once again the MLS' two best teams. Published: April 13, 2019, 7:10 a.m.